As their self-proclaimed biggest fans in New York, we’ve tried most of Prairie’s beer that’s available in New York City. Birra, Puncheon, Bomb!, Bible Belt, and now Prairie Ale. And…surprise! It’s amazing. I had a glass of it before, at the Bible Belt Release party, but didn’t get to take my time with it like I did with this bottle. 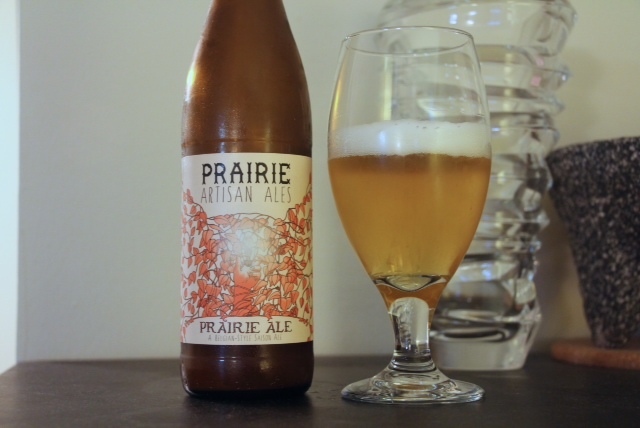 Prairie Ale is a traditional saison, with added wine yeast and Brettanomyces.I love the fluffy head, and the amazing aromas of hay, spice and citrus. The taste is grassy, funky and a bit sour, with touches of bread and pepper. Like most of their farmhouse ales, it has a nice dry finish. A really refreshing beer, especially during this heat wave.